Chiropractors are medics who specialize in treating skeletal and muscular problems, especially those that affect the back and neck. They also adjust the spine to relieve pain and improve the spinal function. However, they can also employ a number of therapies. They believe in a natural approach to treatment. Over the years, the medical landscape has changed as more patients seek out natural health treatment. In addition to the manual manipulations, they treat patients with a combination of diet, exercise, and other lifestyle methods. Chiropractors can spend many hours standing and might work night and weekends to meet their patients’ scheduling needs. What type of training will you require to become a chiropractor? Chiropractors usually graduate from an accredited chiropractic school. They need not have an MD or DO degree from a medical school; but, they earn a D.C. (Doctor of Chiropractic) degree. Chiropractic candidates are currently not allowed required to have a bachelor’s degree before they can enter chiropractic school. However, most students complete a bachelor’s degree, and at least 90 semester hours of undergraduate course to be allowed in a chiropractic program. A chiropractic course practically goes for four years, but various programs vary in length. The classroom work focuses on courses in sciences such as anatomy, biology, physiology, biochemistry, and pathology. On top of classroom requirements, lab and clinical training are essential elements of chiropractic training. Chiropractic classes usually go beyond teaching students how to align someone’s spine. In order to treat patients holistically, chiropractic students are taught how the body works at the minute level. The four years that you spend in chiropractic school, are usually divided in a way that will equip you with a comprehensive knowledge of the human body. The first two years being classroom and lab-based while the final two years are spent inside clinics. You will also have plenty of books to consult but much of your learning will take place using cadavers in the labiropractic classes begin with palpations. You’ll learn how to use your fingers and hands in examining the body. Once you master this skill, you come to know the adjusting technique. You also get to learn the microscopic side all the way up to the human body and how all that integrates. This will enable you to not just look at a spot when a patient comes in for care but you look at the whole body and try to get the cause of the problem. Licensure is required for you to become registered chiropractic on a national level and this is obtained by passing a four-type kind of test by the National Board of Chiropractic Examiners. Just like most careers in health, continuing medical education(CME) is required to keep your licensure current. Some state boards usually require additional testing, though most recognize the national test. There are lots of people who are tired of pills, potions, punctures, and powders. What they want is a way of remaining healthy without taking in a lot of drugs. Chiropractors majorly use physiotherapy as a means of bringing relief to the patients. 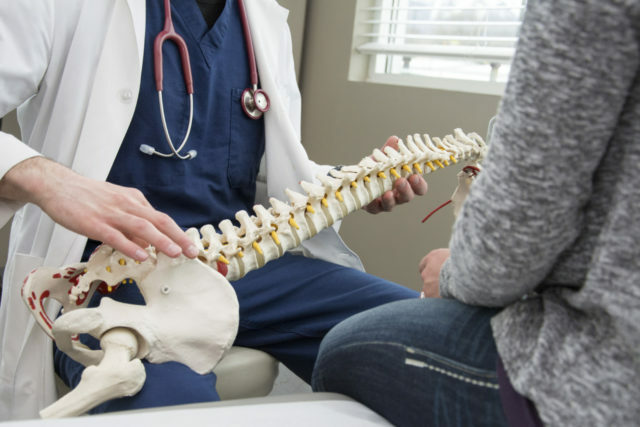 On the other hand, becoming a chiropractor calls for a lot of sacrifices since you have to spend lots of time and efforts to go through its onslaughts. However, one never tires to have an in-depth of what they love to become.